The practice of yoga is an art and science dedicated to creating union between body, mind and spirit. Its objective is to assist the practitioner in using the breath and body to foster an awareness of ourselves as individualized beings intimately connected to the unified whole of creation. In short it is about making balance and creating equanimity so as to live in peace, good health and harmony with the greater whole. This art of right living was perfected and practiced in India thousands of years ago and the foundations of yoga philosophy were written down in The Yoga Sutra of Patanjali, approximately 200 AD. This sacred text describes the inner workings of the mind and provides an eight-step blueprint for controlling its restlessness so as to enjoying lasting peace. The core of Patanjali’s Yoga Sutra is an eight-limbed path that forms the structural framework for yoga practice. Upon practicing all eight limbs of the path it becomes self-evident that no one element is elevated over another in a hierarchical order. Each is part of a holistic focus which eventually brings completeness to the individual as they find their connectivity to the divine. Because we are all uniquely individual a person can emphasize one branch and then move on to another as they round out their understanding. The first two limbs that Patanjali describes are the fundamental ethical precepts called yamas, and the niyamas. These can also be looked at as universal morality and personal observances. Yamas and niyamas are the suggestions given on how we should deal with people around us and our attitude toward ourselves. The attitude we have toward things and people outside ourselves is yama, how we relate to ourselves inwardly is niyama. Both are mostly concerned with how we use our energy in relationship to others and to ourselves. The word ahimsa literally mean not to injure or show cruelty to any creature or any person in any way whatsoever. Ahimsa is, however, more than just lack of violence as adapted in yoga. It means kindness, friendliness, and thoughtful consideration of other people and things. It also has to do with our duties and responsibilities too. Ahimsa implies that in every situation we should adopt a considerate attitude and do no harm. Satya means "to speak the truth," yet it is not always desirable to speak the truth on all occasions, for it could harm someone unnecessarily. We have to consider what we say, how we say it, and in what way it could affect others. If speaking the truth has negative consequences for another, then it is better to say nothing. Satya should never come into conflict with our efforts to behave with ahimsa. This precept is based on the understanding that honest communication and action form the bedrock of any healthy relationship, community, or government, and that deliberate deception, exaggerations, and mistruths harm others. Steya means "to steal"; asteya is the opposite-to take nothing that does not belong to us. This also means that if we are in a situation where someone entrusts something to us or confides in us, we do not take advantage of him or her. Non-stealing includes not only taking what belongs to another without permission, but also using something for a different purpose to that intended, or beyond the time permitted by its owner.iii The practice of asteya implies not taking anything that has not been freely given. This includes fostering a consciousness of how we ask for others’ time for inconsiderate behavior demanding another’s attention when not freely given is, in effect, stealing. Brahmacharya is used mostly in the sense of abstinence, particularly in relationship to sexual activity. Brahmacharya suggests that we should form relationships that foster our understanding of the highest truths. Brahmacharya does not necessarily imply celibacy. Rather, it means responsible behavior with respect to our goal of moving toward the truth. Practicing brahmacharya means that we use our sexual energy to regenerate our connection to our spiritual self. It also means that we don’t use this energy in any way that might harm others. Aparigraha means to take only what is necessary, and not to take advantage of a situation or act greedy. We should only take what we have earned; if we take more, we are exploiting someone else. The yogi feels that the collection or hoarding of things implies a lack of faith in God and in himself to provide for his future.v Aparigraha also implies letting go of our attachments to things and an understanding that impermanence and change are the only constants. The Yoga Sutra describes what happens when these five behaviors outlined above become part of a person's daily life. Thus, the yamas are the moral virtues which, if attended to, purify human nature and contribute to health and happiness of society. The first niyama is sauca, meaning purity and cleanliness. Sauca has both an inner and an outer aspect. Outer cleanliness simply means keeping ourselves clean. Inner cleanliness has as much to do with the healthy, free functioning of our bodily organs as with the clarity of our mind. Practicing asanas or pranayama are essential means for attending to this inner sauca. Asanas tones the entire body and removes toxins while pranayama cleanses our lungs, oxygenates our blood and purifies our nerves. "But more important than the physical cleansing of the body is the cleansing of the mind of its disturbing emotions like hatred, passion, anger, lust, greed, delusion and pride." Another niyama is santosa, modesty and the feeling of being content with what we have. To be at peace within and content with one's lifestyle finding contentment even while experiencing life’s difficulties for life becomes a process of growth through all kinds of circumstances. We should accept that there is a purpose for everything - yoga calls it karma – and we cultivate contentment 'to accept what happens'. It means being happy with what we have rather than being unhappy about what we don't have. Tapas refers to the activity of keeping the body fit or to confront and handle the inner urges without outer show. Literally it means to heat the body and, by so doing, to cleanse it. Behind the notion of tapas lies the idea we can direct our energy to enthusiastically engage life and achieve our ultimate goal of creating union with the Divine. Tapas helps us burn up all the desires that stand in our way of this goal. Another form of tapas is paying attention to what we eat. Attention to body posture, attention to eating habits, attention to breathing patterns - these are all tapas. The fourth niyama is svadhyaya. Sva means "self' adhyaya means "inquiry" or "examination". Any activity that cultivates self-reflective consciousness can be considered svadhyaya. It means to intentionally find self-awareness in all our activities and efforts, even to the point of welcoming and accepting our limitations. It teaches us to be centered and non-reactive to the dualities, to burn out unwanted and self-destructive tendencies. Isvarapranidhana means "to lay all your actions at the feet of God." It is the contemplation on God (Isvara) in order to become attuned to god and god's will. It is the recognition that the spiritual suffuses everything and through our attention and care we can attune ourselves with our role as part of the Creator. The practice requires that we set aside some time each day to recognize that there is some omnipresent force larger than ourselves that is guiding and directing the course of our lives. Asana is the practice of physical postures. 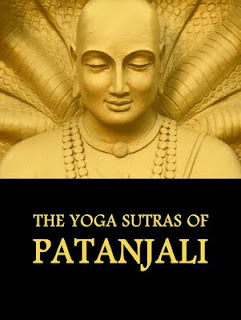 It is the most commonly known aspect of yoga for those unfamiliar with the other seven limbs of Patanjali’s Yoga Sutra. The practice of moving the body into postures has widespread benefits; of these the most underlying are improved health, strength, balance and flexibility. On a deeper level the practice of asana, which means "staying" or "abiding" in Sanskrit, is used as a tool to calm the mind and move into the inner essence of being. The challenge of poses offers the practitioner the opportunity to explore and control all aspects of their emotions, concentration, intent, faith, and unity between the physical and the ethereal body. Indeed, using asanas to challenge and open the physical body acts as a binding agent to bring one in harmony with all the unseen elements of their being, the forces that shape our lives through our responses to the physical world. Asana then becomes a way of exploring our mental attitudes and strengthening our will as we learn to release and move into the state of grace that comes from creating balance between our material world and spiritual experience. As one practices asana it fosters a quieting of the mind, thus it becomes both a preparation for meditation and a meditation sufficient in and of itself. Releasing to the flow and inner strength that one develops brings about a profound grounding spirituality in the body. The physicality of the yoga postures becomes a vehicle to expand the consciousness that pervades our every aspect of our body. The key to fostering this expansion of awareness and consciousness begins with the control of breath, the fourth limb – Pranayama. Patanjali suggests that the asana and the pranayama practices will bring about the desired state of health; the control of breath and bodily posture will harmonize the flow of energy in the organism, thus creating a fertile field for the evolution of the spirit. "This down-to-earth, flesh-and-bones practice is simply one of the most direct and expedient ways to meet yourself. … This limb of yoga practice reattaches us to our body. In reattaching ourselves to our bodies we reattach ourselves to the responsibility of living a life guided by the undeniable wisdom of our body. "viii To this B.K.S. Iyengar adds: "The needs of the body are the needs of the divine spirit which lives through the body. The yogi does not look heaven-ward to find God for he know that He is within." Pranayama is the measuring, control, and directing of the breath. Pranayama controls the energy (prana) within the organism, in order to restore and maintain health and to promote evolution. When the in-flowing breath is neutralized or joined with the out-flowing breath, then perfect relaxation and balance of body activities are realized. In yoga, we are concerned with balancing the flows of vital forces, then directing them inward to the chakra system and upward to the crown chakra. Pranayama, or breathing technique, is very important in yoga. It goes hand in hand with the asana or pose. In the Yoga Sutra, the practices of pranayama and asana are considered to be the highest form of purification and self discipline for the mind and the body, respectively. The practices produce the actual physical sensation of heat, called tapas, or the inner fire of purification. It is taught that this heat is part of the process of purifying the nadis, or subtle nerve channels of the body. This allows a more healthful state to be experienced and allows the mind to become more calm.x As the yogi follows the proper rhythmic patterns of slow deep breathing "the patterns strengthen the respiratory system, soothe the nervous system and reduce craving. As desires and cravings diminish, the mind is set free and becomes a fit vehicle for concentration." Pratyahara means drawing back or retreat. The word ahara means "nourishment"; pratyahara translates as "to withdraw oneself from that which nourishes the senses." In yoga, the term pratyahara implies withdrawal of the senses from attachment to external objects. It can then be seen as the practice of non-attachment to sensorial distractions as we constantly return to the path of self realization and achievement of internal peace. It means our senses stop living off the things that stimulate; the senses no longer depend on these stimulants and are not fed by them any more. In pratyahara we sever this link between mind and senses, and the senses withdraw. When the senses are no longer tied to external sources, the result is restraint or pratyahara. Now that the vital forces are flowing back to the Source within, one can concentrate without being distracted by externals or the temptation to cognize externals. Pratyahara occurs almost automatically when we meditate because we are so absorbed in the object of meditation. Precisely because the mind is so focused, the senses follow it; it is not happening the other way around. No longer functioning in their usual manner, the senses become extraordinarily sharp. Under normal circumstances the senses become our masters rather than being our servants. The senses entice us to develop cravings for all sorts of things. In pratyahara the opposite occurs: when we have to eat we eat, but not because we have a craving for food. In pratyahara we try to put the senses in their proper place, but not cut them out of our actions entirely. Much of our emotional imbalance are our own creation. A person who is influenced by outside events and sensations can never achieve the inner peace and tranquility. This is because he or she will waste much mental and physical energy in trying to suppress unwanted sensations and to heighten other sensations. This will eventually result in a physical or mental imbalance, and will, in most instances, result in illness. Patanjali says that the above process is at the root of human unhappiness and uneasiness. When people seek out yoga, hoping to find that inner peace which is so evasive, they find that it was theirs all along. In a sense, yoga is nothing more than a process which enables us to stop and look at the processes of our own minds; only in this way can we understand the nature of happiness and unhappiness, and thus transcend them both. In dharana we create the conditions for the mind to focus its attention in one direction instead of going out in many different directions. Deep contemplation and reflection can create the right conditions, and the focus on this one point that we have chosen becomes more intense. We encourage one particular activity of the mind and, the more intense it becomes, the more the other activities of the mind fall away. The objective in dharana is to steady the mind by focusing its attention upon some stable entity. The particular object selected has nothing to do with the general purpose, which is to stop the mind from wandering -through memories, dreams, or reflective thought-by deliberately holding it single-mindedly upon some apparently static object. B.K.S. Iyengar states that the objective is to achieve the mental state where the mind, intellect, and ego are "all restrained and all these faculties are offered to the Lord for His use and in His service. Here there is no feeling of 'I' and 'mine'." When the mind has become purified by yoga practices, it becomes able to focus efficiently on one subject or point of experience. Now we can unleash the great potential for inner healing. Dhyana means worship, or profound and abstract religious meditation. It is perfect contemplation. It involves concentration upon a point of focus with the intention of knowing the truth about it. The concept holds that when one focuses their mind in concentration on an object the mind is transformed into the shape of the object. Hence, when one focuses on the divine they become more reflective of it and they know their true nature. "His body, breath, senses, mind, reason and ego are all integrated in the object of his contemplation – the Universal Spirit." During dhyana, the consciousness is further unified by combining clear insights into distinctions between objects and between the subtle layers of perception. "We learn to differentiate between the mind of the perceiver, the means of perception, and the objects perceived, between words, their meanings, and ideas, and between all the levels of evolution of nature." As we fine-tune our concentration and become more aware of the nature of reality we perceive that the world is unreal. "The only reality is the universal self, or God, which is veiled by Maya (the illusory power). As the veils are lifted, the mind becomes clearer. Unhappiness and fear – even the fear of death – vanishes. This state of freedom, or Moksha, is the goal of Yoga. It can be reached by constant enquiry into the nature of things. "xvii Meditation becomes our tool to see things clearly and perceive reality beyond the illusions that cloud our mind. The final step in the eight-fold path of Yoga is the attainment of Samadhi. Samadhi means "to bring together, to merge." In the state of samadhi the body and senses are at rest, as if asleep, yet the faculty of mind and reason are alert, as if awake; one goes beyond consciousness. During samadhi, we realize what it is to be an identity without differences, and how a liberated soul can enjoy pure awareness of this pure identity. The conscious mind drops back into that unconscious oblivion from which it first emerged. Thus, samadhi refers to union or true Yoga. There is an ending to the separation that is created by the "I" and "mine" of our illusory perceptions of reality. The mind does not distinguish between self and non-self, or between the object contemplated and the process of contemplation. The mind and the intellect have stopped and there is only the experience of consciousness, truth and unutterable joy. The achievement of samadhi is a difficult task. For this reason the Yoga Sutra suggests the practice of asanas and pranayama as preparation for dharana, because these influence mental activities and create space in the crowded schedule of the mind. Once dharana has occurred, dhyana and samadhi can follow. These eight steps of yoga indicate a logical pathway that leads to the attainment of physical, ethical, emotional, and psycho-spiritual health. Yoga does not seek to change the individual; rather, it allows the natural state of total health and integration in each of us to become a reality. That was great.. thank Jacob.